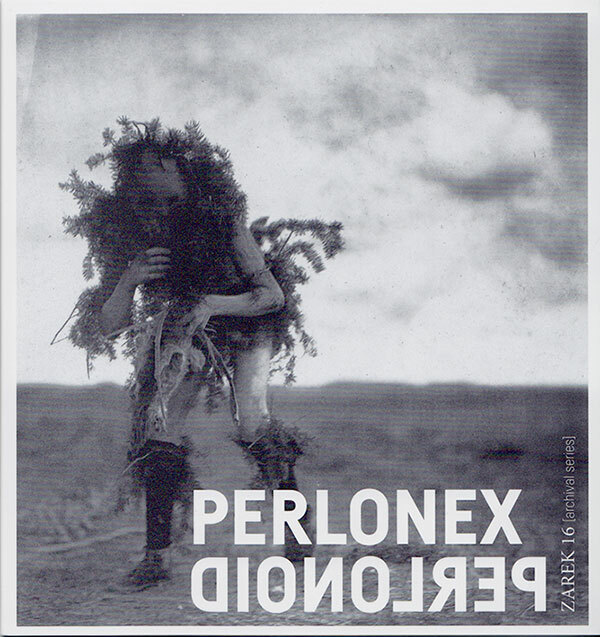 From Zarek, a German label which has reached its sixteenth release, here’s a dilated, flowing and elegiac composition by Perlonex, an electro-acoustic trio composed of Ignaz Schick, Joerg Maria Zeger and Burkhard Beins. Its recording has been made during a live at Sophiensaele Berlin on the occasion of the Echtzeitmusiktage event in 2010 by Ignaz Schick himself and Kassian Troyer, and then mixed afterwards without any overdub added. The mix of elements is immediately powerful while listening and instantly we’re dragged into somewhat strident atmospheres, but full of reverb and of a broad spatiality, a mix that gives way to digital treatments which grow and proliferate, gradually filling the scene with the sounds (we can imagine the place of action). Then – after about twenty minutes it gives way to a folding of the forces and resumes the imaginative flow that welcomes back vague tastes of concrete music, improvisational styles, environmental harmonies and Industrial influences. This fusion of music-inspired awesomness has always been one of the main features of the collective ensemble, formed in 1998, and even in choosing the events at which it has performed has always kept to a certain eclecticism, preferring not to confine its research to specialist environments. Schick for this occasion uses a number of objects, including a turntable, he adds sinusoidal waves and electronic hardware of various types. Zeger’s contribution is recognizable by the sounds of the electric guitars and various feedback, and still live-electronics, while Burkhard intervenes on percussion and mainly handles the rhythmic part, but also playing a zither (a kind of table cetra, belonging to the chordophone family, a very popular instrument in southern Germany). There are different dynamic “emergencies” and counterpoints we can distinguish in the sound continuum and a remarkable energy is stored in the performance, feeding it, which is always impeccable and keeps high the climax of the constructed aural relationships. Hummings, slow changes, shrieks and unresolved tensions: it is a tour de force to which the combo engages with, triggering an iterated drone-dense force, with exorbitant frequencies and subtly partner-in-crime textures. This is a test that is hoping for the continuity of such a fruitful artistic collaboration.